NORTH Korea appeared ready to test another intercontinental ballistic missile last night to coincide with the country's Day of Victory, which marks the end of active fighting in the Korean War in 1953, according to US officials. It would be the 11th ballistic missile test this year and the first since the nation's July 4 ICBM test. The next test is expected to be similar to the July 4 test: a Hwasong-14 ICBM launched from Kusong Province. It is a two-stage version of the KN-17 missile launched several times in April and May. The July 4 missile reached an altitude of 2800km and flew horizontally 1000km, landing 37 minutes later in the Sea of Japan. 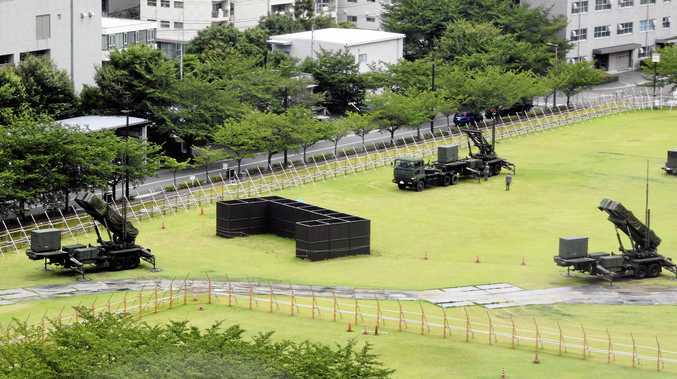 In preparation for a possible launch gone wrong or for leader Kim Jong-un going rogue, Japan has increased its deployment of PAC-3 missile interceptors, installing several at the Defence Ministry in Tokyo yesterday - the 64th anniversary of the Korean armistice. LETTER: Why are we so scared of North Korea?